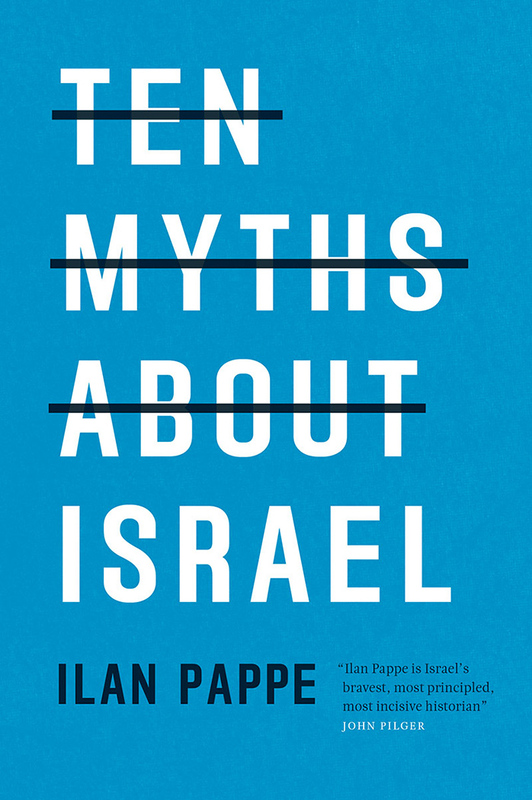 To commemorate Nakba Day on May 15, we present an excerpt from Ilan Pappe’s new book Ten Myths About Israel. Published on the fiftieth anniversary of the Occupation, the radical Israeli historian examines the most contested ideas concerning the origins and identity of the contemporary state of Israel, including the myth that the Palestinians voluntarily left their homeland in 1948. It is true that in public meetings all the Zionist leaders and ideologues talked about transfer by agreement. But even those speeches reveal a bitter truth: there is no such a thing as voluntary transfer. It is semantics not practice. The idea that the Palestinians left voluntarily is not the only false assumption associated with the 1948 war. There are three others that are often aired to explain away the events of that year. The first is that the Palestinians are to be blamed for what happened to them since they rejected the UN partition plan of November 1947. This allegation ignores the colonialist nature of the Zionist movement. What is clear is that the ethnic cleansing of the Palestinians can in no way be justified as a “punishment” for their rejecting a UN peace plan that was devised without any consultation with the Palestinians themselves. As for the third myth that the Israeli state extended a hand of peace in the aftermath of the conflict, the documents show the opposite. In fact, an intransigent Israeli leadership clearly refused to enter into negotiations over the future of post-Mandatory Palestine or consider the return of the people who had been expelled or had fled. While Arab governments and Palestinian leaders were willing to participate in a new and more reasonable UN peace initiative, the Israeli leadership turned a blind eye when in September 1948 Jewish terrorists assassinated the UN peace mediator, Count Bernadotte. 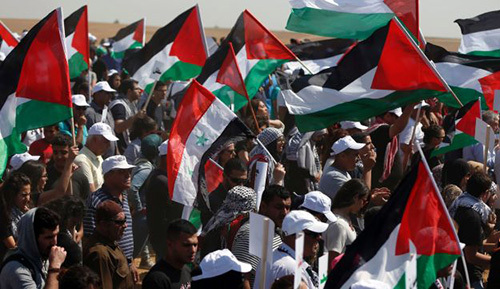 They further rejected any new proposals for peace adopted by the body that replaced Bernadotte, the Palestine Conciliation Commission (PCC), as new negotiations commenced at the end of 1948. The Israeli intransigence would continue. As the historian Avi Shlaim has shown in his book The Iron Wall, contrary to the myth that the Palestinians never missed an opportunity to refuse peace, it was Israel that constantly rejected the offers that were on the table.22 It began with the rejection of a peace offer and fresh ideas for the refugee issue put forward by the Syrian ruler Husni al-Zaim in 1949, and continued with Ben-Gurion’s undermining of initial peace feelers sent out by Gamal Abdel Nasser in the early 1950s. Better known is the way Israel refused to show any flexibility in its negotiations with King Hussein in 1972 (mediated by Henry Kissinger over the West Bank), and its refusal to heed President Sadat of Egypt’s warning in 1971 that if they would not negotiate bilaterally over the Sinai he would be forced to go to war over it— which he did two years later, inflicting a traumatic blow to Israel’s sense of security and invincibility. All these myths surrounding 1948 fuse together in the image of a Jewish state fighting against all odds, offering succor to the Palestinians, encouraging them to stay and proposing peace, only to learn that there “is no partner” on the other side. The best way to counter this image is to re-describe, patiently and systematically, the events that took place in Palestine between 1946 and 1949. From our present vantage point, there is no escape from defining the Israeli actions in the Palestinian countryside as a war crime. Indeed, as a crime against humanity. If one ignores this hard fact one will never understand what lies behind Israel’s attitude towards Palestine and the Palestinians as a political system and a society. The crime committed by the leadership of the Zionist movement, which became the government of Israel, was that of ethnic cleansing. This is not mere rhetoric but an indictment with far-reaching political, legal, and moral implications. The definition of the crime was clarified in the aftermath of the 1990s civil war in the Balkans: ethnic cleansing is any action by one ethnic group meant to drive out another ethnic group with the purpose of transforming a mixed ethnic region into a pure one. Such an action amounts to ethnic cleansing regardless of the means employed to obtain it—from persuasion and threats to expulsions and mass killings. The political implication is that Israel is exclusively culpable for the creation of the Palestinian refugee problem, for which it bears the legal as well as moral responsibility. The legal implication is that even if there is a statute of limitations, after such a long period, for those who committed a deed understood as a crime against humanity, the deed itself is still a crime for which nobody was ever brought to justice. The moral implication is that the Jewish state was born out of sin—like many other states, of course—but the sin, or the crime, has never been admitted. Worse, among certain circles in Israel it is acknowledged, but in the same breath fully justified both in hindsight and as a future policy against the Palestinians, wherever they are. The crime is still committed today. You can see a full list of our Israel-Palestine titles here. 20. See Pappe, The Ethnic Cleansing of Palestine. 21. Avi Shlaim, The Iron Wall: Israel and the Arab World, London: Penguin, 2014. 29. US State Department, Special Report on Ethnic Cleansing, May 10, 1999. 30. I detailed this in The Ethnic Cleansing of Palestine.